If you’re new to the fundraising world, you may have heard talk about Form 990s, but may not know what one is or what kind of information it contains. Luckily, we’re here to help! We’ve answered some common questions about the IRS Form 990 and the information included in these nonprofit tax return forms. Discover what a Form 990 is, what information is included and how it’s used, as well as how to be transparent about your organization’s Form 990s. A Form 990 is a form completed by nonprofit organizations (or their tax preparers) for submission to the IRS. The IRS uses the information in this form to determine whether the nonprofit organization can maintain its status as a recognized tax-exempt organization. What’s included in a Form 990 and how’s the data used? The nonprofit is expected to account for all income from all sources and report on its expenses. Foundations that award scholarships or grants must also include statements on the money they’ve awarded and the purpose for that funding. Salaries of the five highest-paid employees is required on the Form 990 as well as any compensation board members received for work performed for the nonprofit. Other required information includes the organization’s largest donations for the fiscal year, the nonprofit’s address information, and individual fundraising event performances. 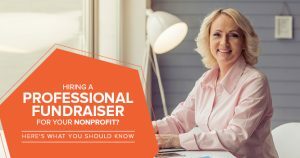 The types of revenue and expenses are broken down and explained on the Form 990 to form a complete idea of how the nonprofit organization raises the funds that make its work possible. Form 990s are useful to more than IRS officials. Donors and prospective supporters look to an organization’s Form 990 to see if they demonstrate fiscal responsibility and a commitment to low overhead. Overhead is a calculation of services unrelated to direct services to the community. Executive salaries, fundraising expenses, and other non-service expenses count toward your organization’s overhead. Nonprofit organizations seeking grant money often check out the Form 990s of the foundations that fund the grants. The Form 990 will show them grants given in previous fiscal years and should also include the names of the organizations that received funding. From there, grant writers determine what the typical grant size is for their type of organization and support request. The Form 990 contains incredibly useful information! 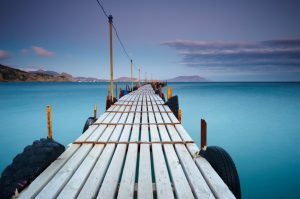 Why should my organization be transparent with its Form 990s? Nonprofit organizations receive intense scrutiny of their spending habits and income. 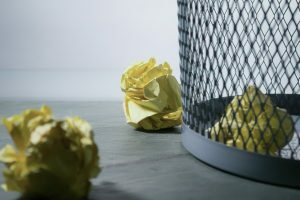 Organizations that don’t make their Form 990s readily available appear to be hiding their funding sources and their expenses. Even if your organization’s overhead costs are high, it’s important to be fiscally transparent to instill trust in potential donors. Failure to make your 990 easily accessible to donors can dampen their confidence in your organization and your ability to get the job done. One simple way to make sure your Form 990 is available to those who wish to view it is to make sure it appears on the GuideStar website. GuideStar is an organization that helps consumers decide which nonprofits to support. The best part? You can claim your nonprofit’s GuideStar page and add information to make it easy for interested donors to reach out to you. GuideStar houses nonprofits’ Form 990s for multiple years so supporters can see how a nonprofit’s expenses and revenue have changed from year to year. Your nonprofit’s Form 990 tells a very important story. This type of tax return identifies your organization’s revenue and expenses, and helps donors determine if your organization will use their donations wisely. By being transparent with the information contained in the Form 990, you instill confidence in your supporters that you are being good stewards of your resources. For Foundations, grant writers rely on your Form 990 for crucial information regarding the grants your organization makes to requestors. Providing this information on your Form 990 will hopefully translate to grant applications that are better aligned with what your Foundation is able to provide. As you can see, the Form 990 contains a great deal of information on your nonprofit that can be used in a wide variety of ways. Making your Form 990 available to those who request a copy, or having it available on GuideStar, helps your nonprofit stay transparent and be seen as honest and responsible by prospective donors.